Make it grand! Make it glorious! 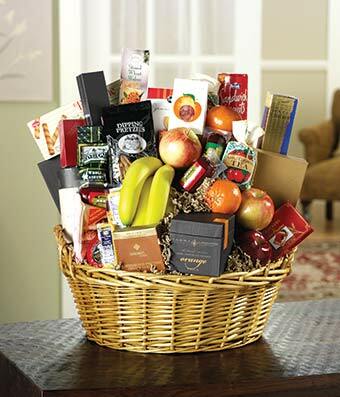 This over-the-top gift basket will blow them away. Overflowing with fine meats, cheeses, chocolates, candies, cakes, pretzels, fruits, tea, and more, this is a great gift basket to send year-round. Perfect for any and all occasions, it will wow your recipient as soon as they see it. Order now to get it delivered today! Please note: contents may vary.